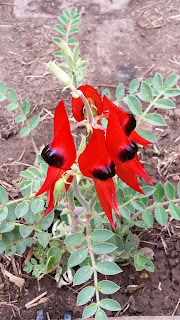 My Sturt's Desert Pea has started to flower in the garden at home. It will be a mass of flowers in a few weeks. The flowers are just so sensual.